Crock-Pot 6-Quart Smart-Pot Slow Cooker Review so your food doesn't get cold if you cook it overnight or while you're away from work. It's got a dishwasher safe crock and lid. This model is not made for travel, so it does not have the locking clips and rubber seal like you get with the 6-quart programmable Cook and Carry. That's OK with me – I don't travel with my meals and prefer the lids without the rubber seal. Six quart slow cookers are good for single people that like to make extra food for the week or for small families. This is a pretty standard size to purchase, and this is a pretty normal slow cooker in terms of features and looks. The “smart” part of the Smart Pot is that you don't have to worry about manually programming the time to cook your food. 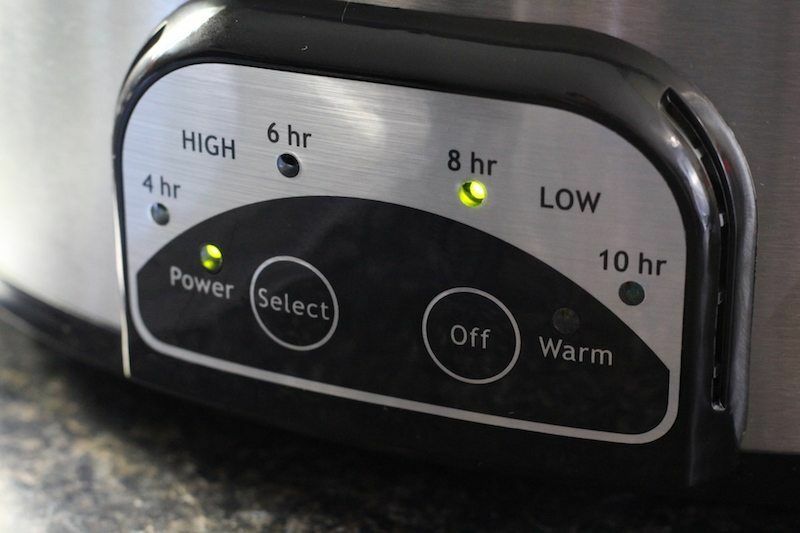 Normally you have to select either a high or low setting, then program the number of hours you want it to cook for. 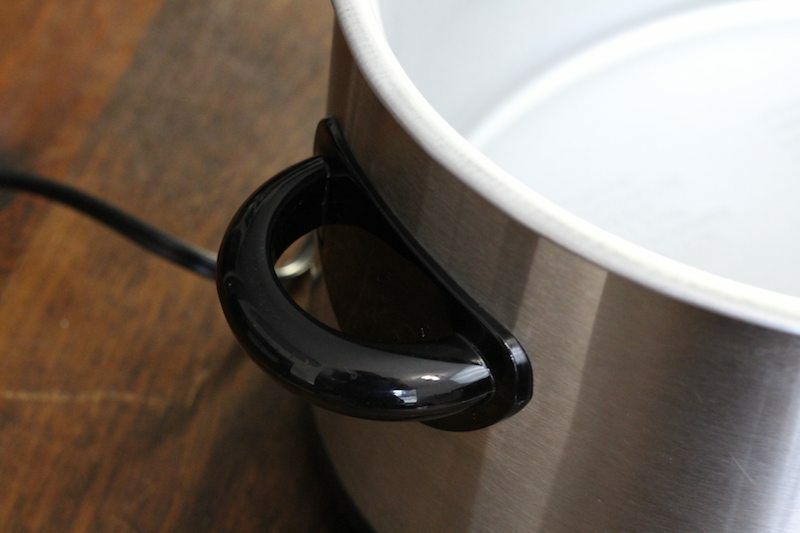 The Smart Pot eliminates those extra steps and gives you a simple choice with a single programming button. This is restricting in some ways, in the sense that you can't set the cooker to high for 10 hours or low for 2 hours, but have you ever made a meal that requires that? Probably not. The idea is low and slow, or for a few select dishes like these enchiladas you can do high for an hour or two. It may also seem restrictive that you can't set it to odd-numbered hours, but again, most dishes are not that sensitive that an extra hour will make a difference. When you're making shredded beef, it's not like the difference between 7 and 8 hours is going to ruin a meal. Slow cooker recipes are designed to be less sensitive like that. So simplicity of design and programming is probably this models strongest selling point. Though I haven't written up the recipe yet, I made a red wine shredded beef recipe with this slow cooker. I used a different cut of meat this time, just to experiment. 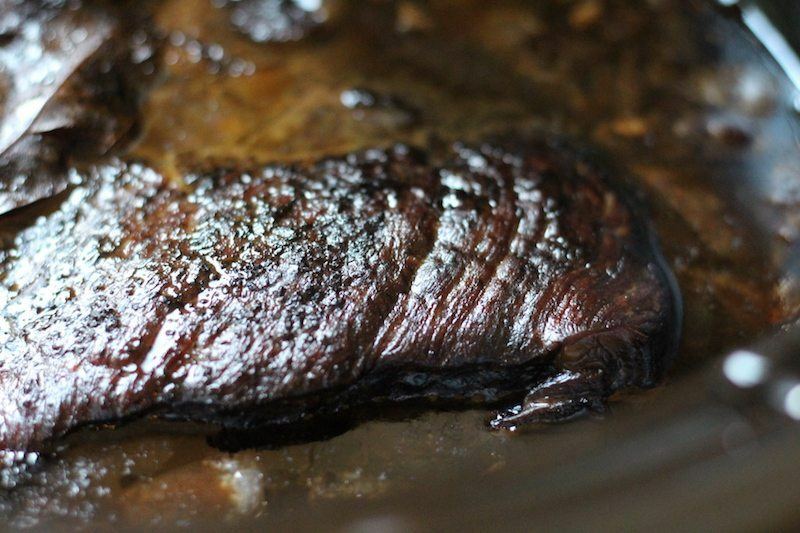 It was a bit fattier than the normal pot roast style I make. It turned out much more moist, but it was a lot fattier too. Eating it fresh, it tasted much better, but heating it up the second day felt a bit greasy. I think I like the slightly less fatty version better. But look how tender and delicious that looks. I used the 6-hour button over night, then had shredded beef tacos for breakfast. Who cares. I'm an adult and can eat whatever I want LOL. Anyway, regarding the slow cooker performance, it cooked the meat as expected. The meat was thoroughly cooked but not too try. It automatically switched to warm (I slept 7 or 8 hours and it was still hot when I woke up) when done. I previously tested the 4-quart version of the Smart Pot, and it was my top pick for mid-priced slow cookers. Though not fully programmable, I can't imagine you'll need to cook any 4-quart meals for more than 10 hours. With the six quart version, you I still doubt that you'll need anything more than 10 hours. It's only once you get into 7 or 8 quart cookers that 12-16 hour cook times start to seem more feasible. However, the 6 quart version of the Smart Pot didn't make my “top 3” just because there are so many more options available in this size range. If I'm going to buy a larger pot in this price range, I'll want something with full programming capabilities or other interesting features. For example, you can get portability with the Cook and Carry, or temperature precision with the Set ‘n Forget. 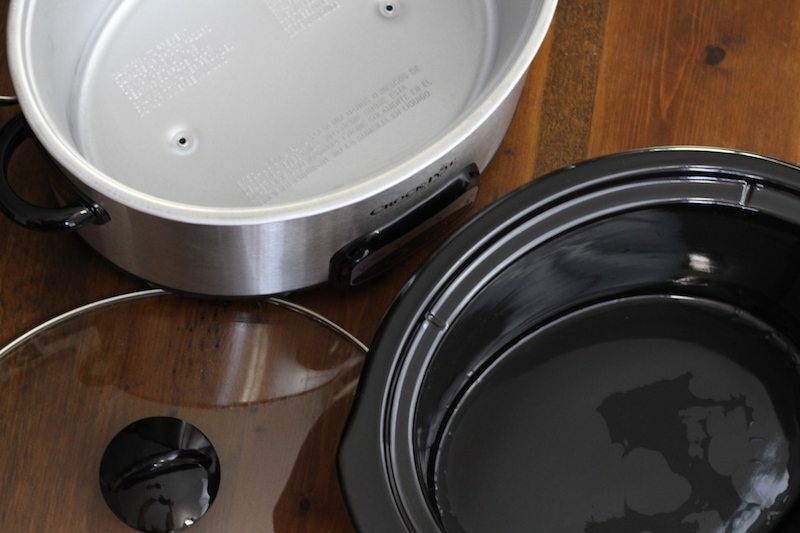 If you want to check out other sizes of this same style of slow cooker, take a look at our comparison of Smart Pot models. The smaller versions have multiple colors, but this one only comes in silver. This definitely was a great appliance, and I really like the design of Smart Pots. However, it just didn't stand out in a long list of 6-quart slow cookers I tested this year. Who Is The 6-Quart Smart Pot Best For? 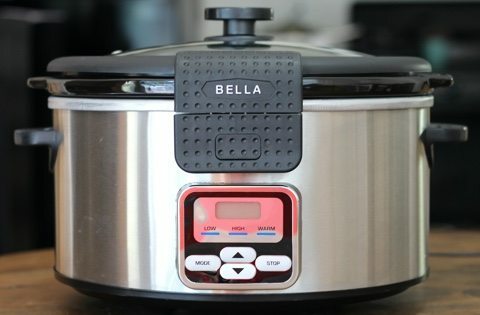 If you like the Smart Pot design, and enjoy the idea of being able to just press a single button to get your food ready to cook, then this would be a good slow cooker for you. Since there are not travel capabilities (locking lid), this would also be best if you plant to do your slow cooking at home and not take it on the road (like me). This is good for a single person or couple who wants to make leftovers. For a small family, you could use this to make a main dish, but would probably need some sides prepared as well. Slow cookers are not designed to be packed full or they won't cook things properly. Two hungry kids and an adult could definitely polish off a whole chicken prepared in a 6 quart cooker or a crock full of soup. Most mid-priced slow cookers are all pretty similar. 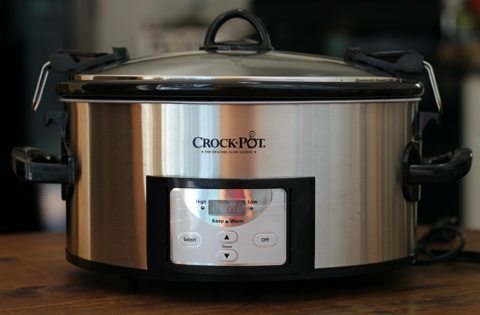 Crock-Pot is a reliable brand, so they'll last for years no matter what model you get, but Smart Pot is one in particular that I find attractive looking and convenient. 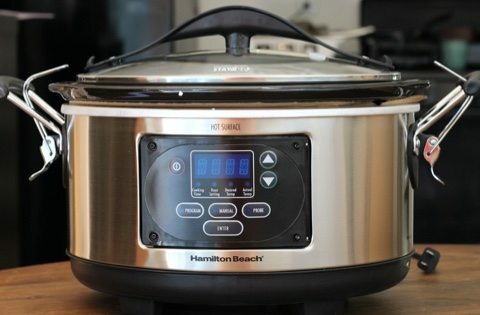 The 6-quart Crock-Pot Smart Pot is not a very unique or flash slow cooker, but it gets the job done. It's simple to use, made by a reliable brand, and has lots of positive reviews from around the internet. It wasn't my favorite that I tested, but that doesn't mean anything was wrong with it. This particular model just didn't outpace the other once I tested which had more interesting features. Regardless, it's still a good buy for the price, and if you like the general look, then this is a smart purchase. Slow cooking can add a new dimension to your home-cooking skills and will save you a lot of time in the kitchen. Even just a few nights a week can make a difference! 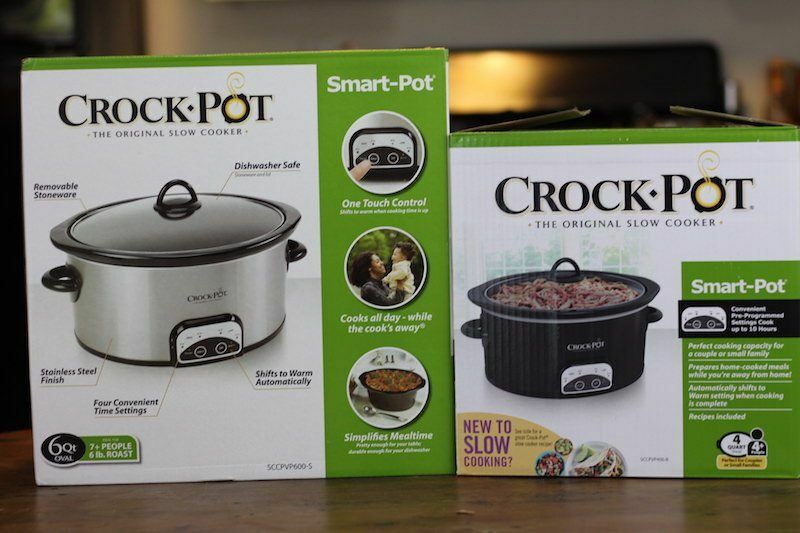 ==> Get The Crock-Pot 6-Quart Smart Pot Here!